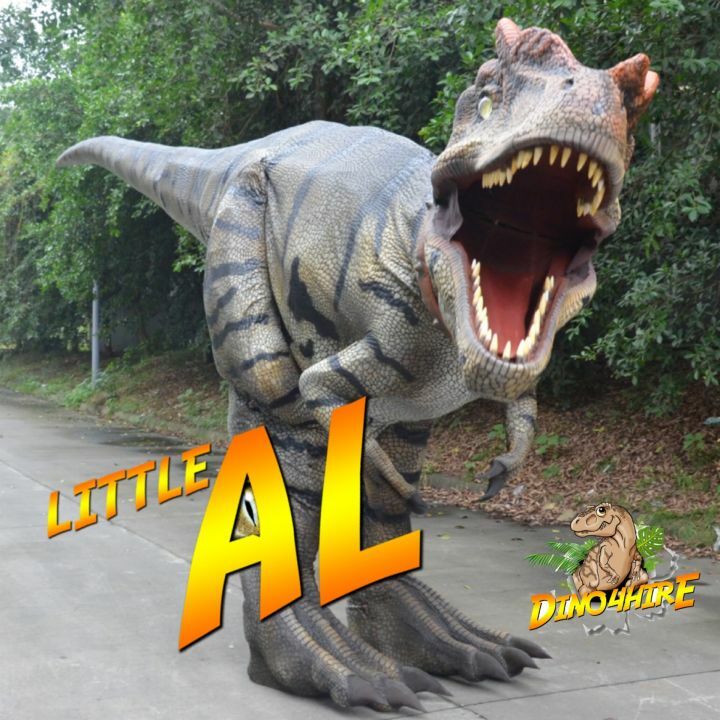 Home of Little AL the UK's largest walking dinosaur for hire. 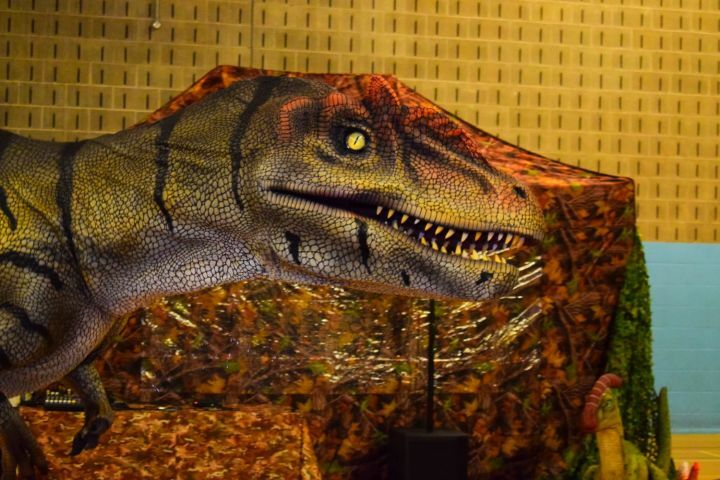 Hire a dinosaur for your next event. 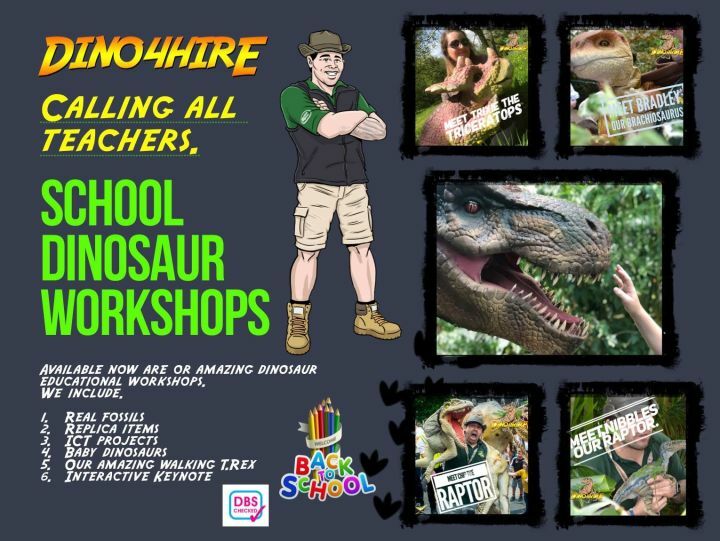 School dinosaur workshops available for all ages. 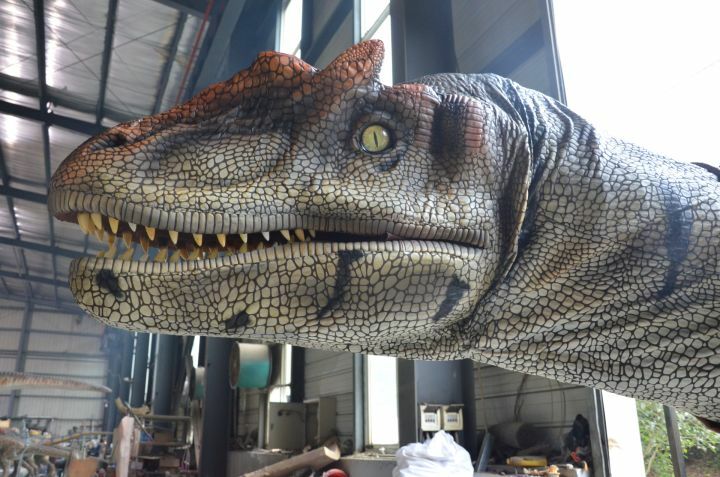 We cover all of the UK with our amazing dinosaurs for hire. 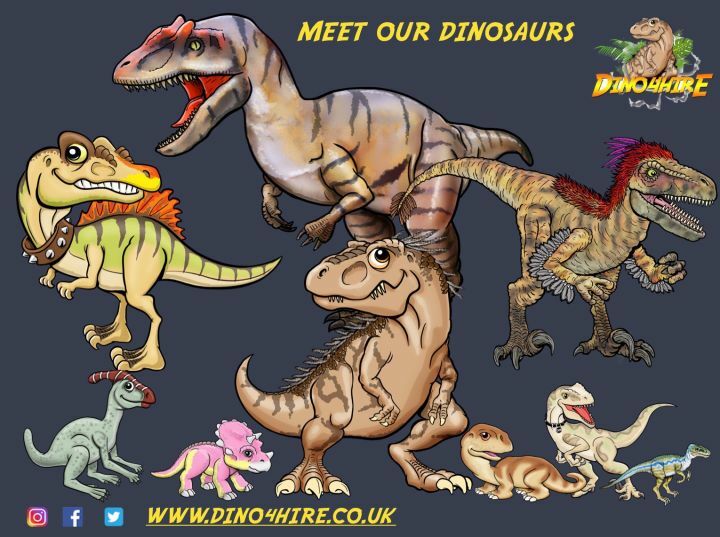 Welcome to Dino4hire the UK's Premier dinosaur entertainment company with many dinosaurs for hire. 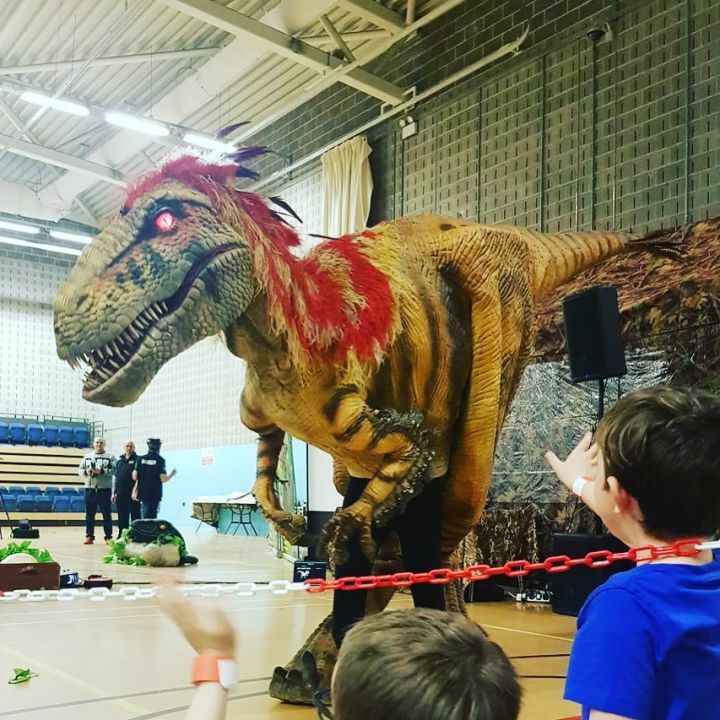 Dino4hire offer you the most realistic walking dinosaurs, small interactive puppets, animatronic dinosaurs, fossils, replicas and props for hire in the UK. With more dinosaurs for hire than any other company in the UK. 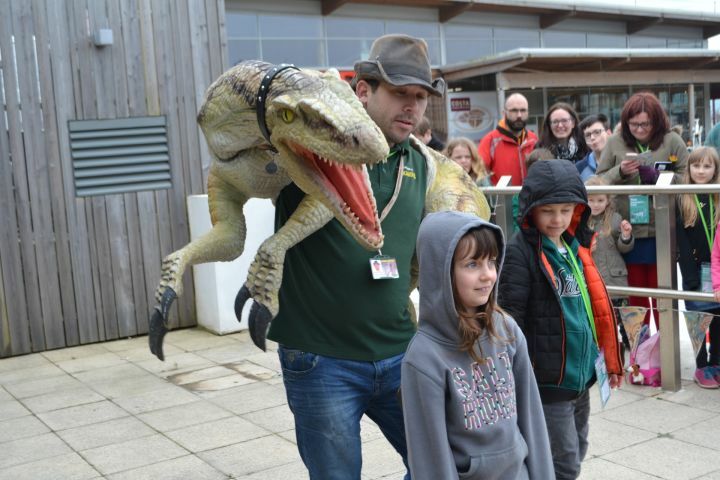 With the knowledge of the subject of dinosaurs our expert rangers really bring the subject to life. Ranger Chris our head ranger has done many courses inc Paleobiology, theropod dinosaurs, The evolution of birds and Dinosaur ecosystems. This is a truly amazing experience for young and old and we always add the educational twist to every event we go to as we realise this is such an amazing subject. We currently have 10 dinosaurs including 4 large walking dinosaurs. 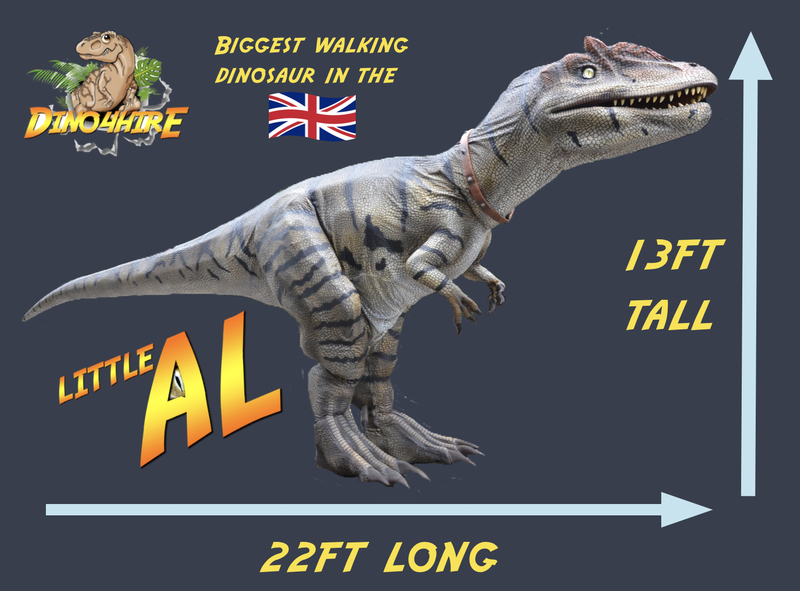 We even have the largest walking dinosaur in the UK measuring an amazing 7m long and 4m tall Little AL the Allosaurus. 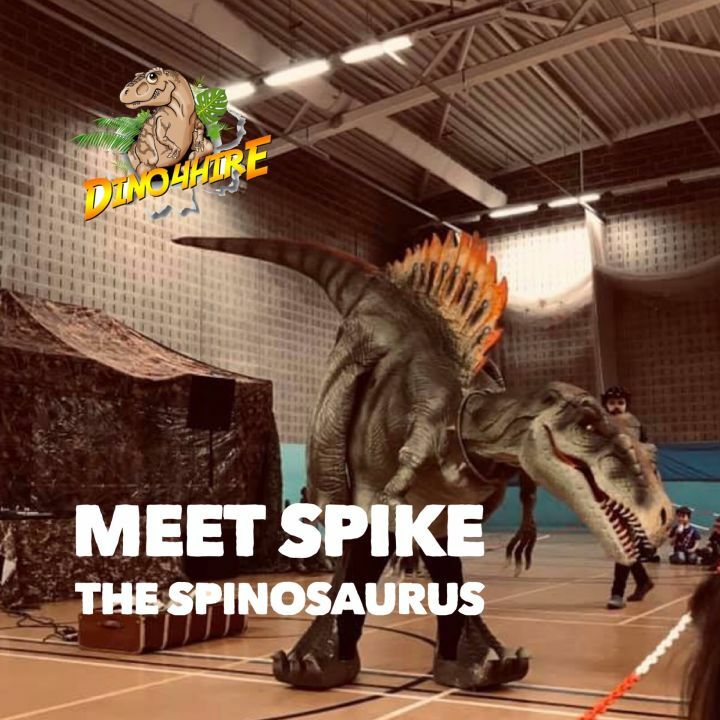 We also have 3 4m long walking dinosaurs named Spike is a Spinosaurus, Ronnie is a Tyrannosaurus rex and Rita the Utahraptor and all are truly amazing. Both walk, run, blink and make realistic noises. Their eyes can even glow in the dark. 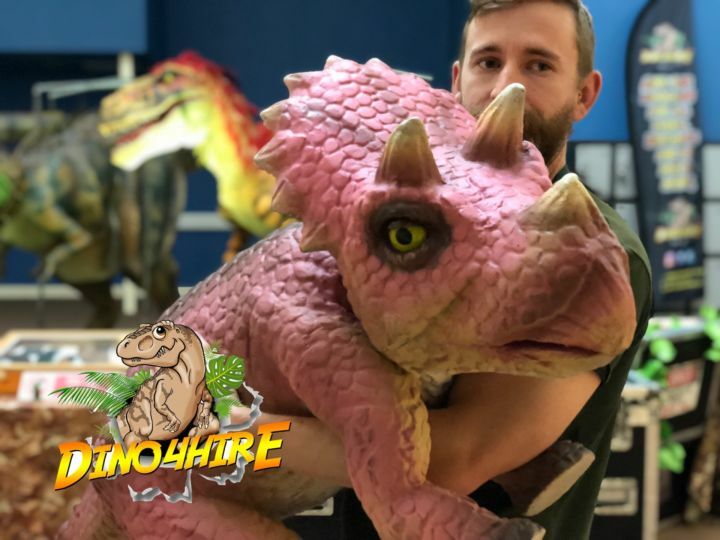 We also have Trixie our baby Triceratops, Chip our Raptor & Bradley our baby Brachiosaurus, combine these with loads of dinosaur props and replica items including eggs, claws, bones and so much more. 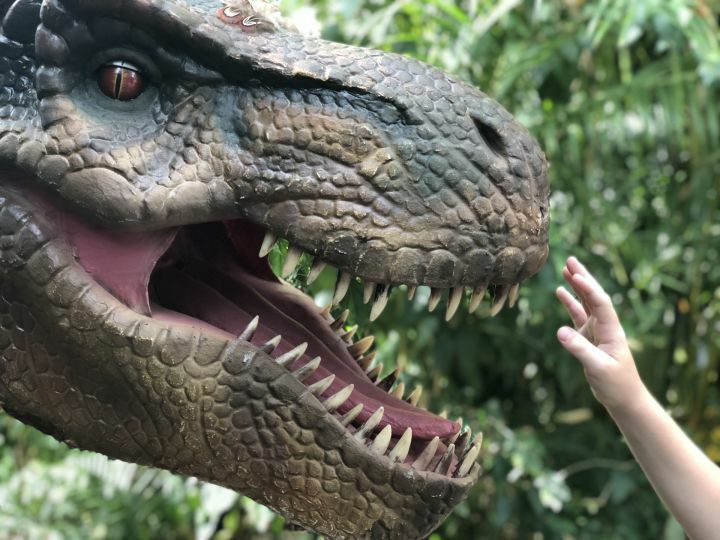 We can also add something a little different to your dinosaur day with Percy our Parasaurolophus who actually can talk and interact with the crowds. He is so funny and can answer questions but beware he is a little cheeky. We also have a selection of hatching eggs with realistic dinosaurs that come to life. We can even in front of your own eyes bring them to life and take them out of the eggs for adults and children to touch and hold. Please mind those fingers. 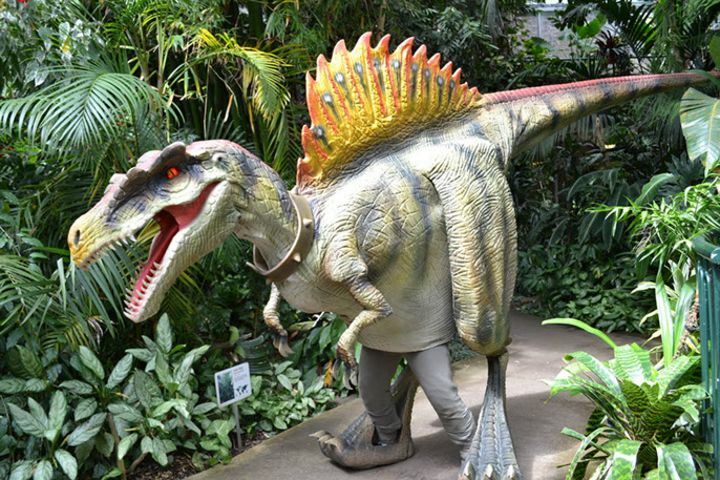 For more information on our dinosaurs click here. 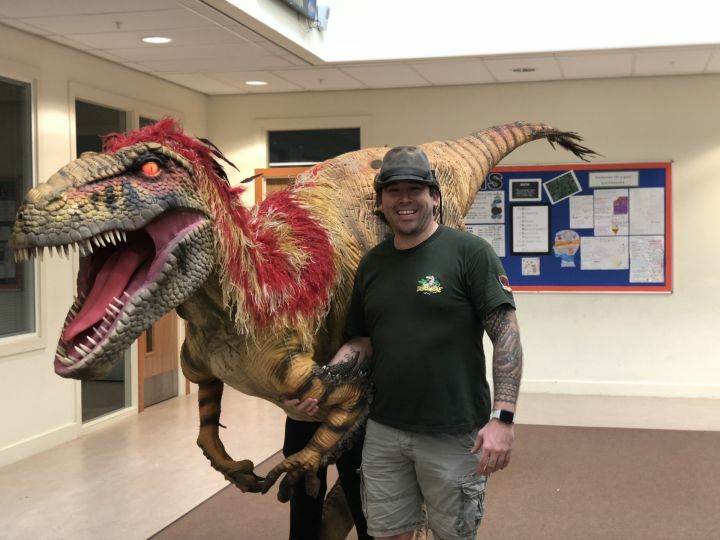 We can offer amazing dinosaur for hire packages which can include many props as well as ride on dinosaurs, eggs, bones and we even have hatching eggs. 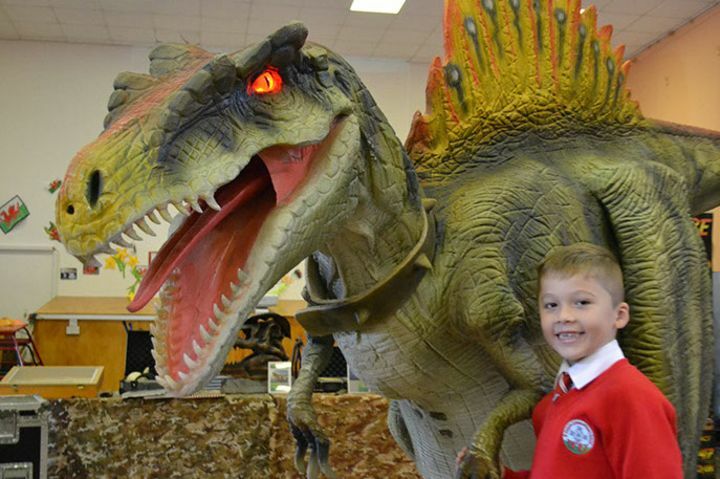 We also have some animatronic dinosaurs as well as real fossil displays. We can turn any event into a massive success, Maybe you want to promote your product or store, then look no further as we really do draw a crowd. 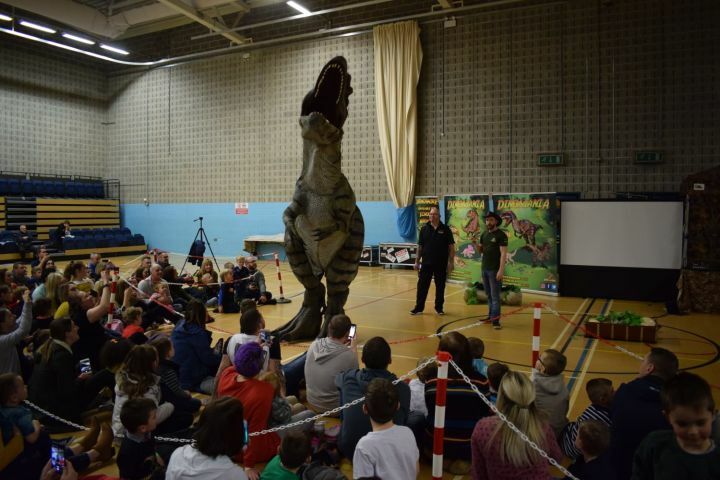 One of our biggest successes over the past year has been our amazing school dinosaur workshops in Swansea. 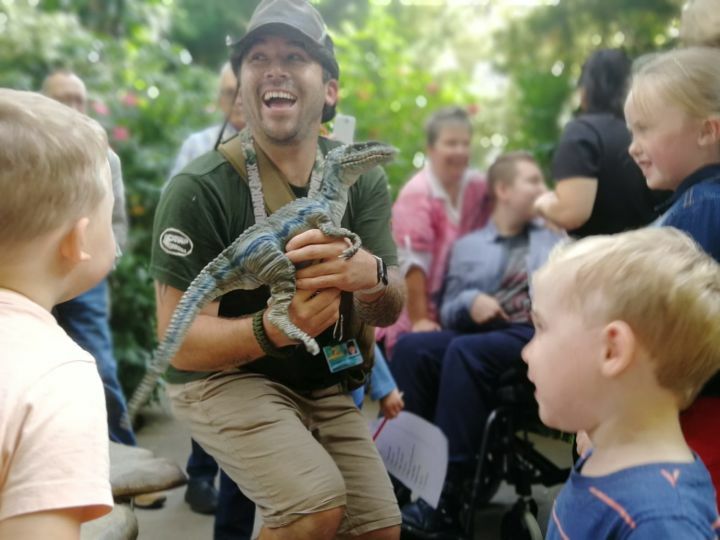 Bringing the dinosaur subject to life we can engage the children minds and give them an experience they will never forget. 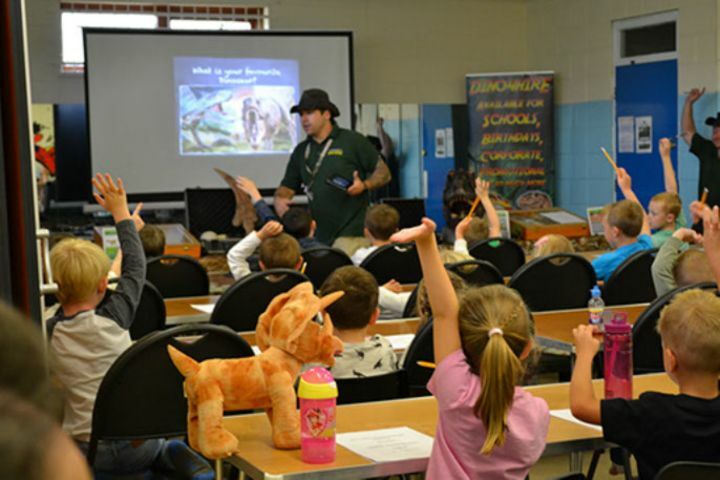 Our Educational dinosaur workshops are the best in the country with amazing engaging workshops. Real fossils, facts, games and fun. A truly amazing way to help aid in your dinosaur topic. What better way to teach this amazing subject than meeting some realistic dinosaurs and learning using our mobile museum. For information on prices and structure click here. Why not hire a dinosaur to promote your business/product. 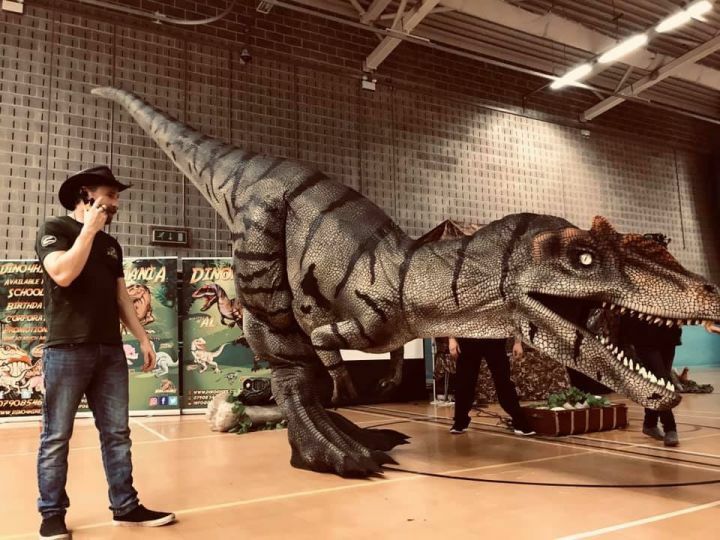 What better way to draw attention to your business or event than a full size dinosaur for hire.. Available for all events around the UK. For our full events package click here for more information.